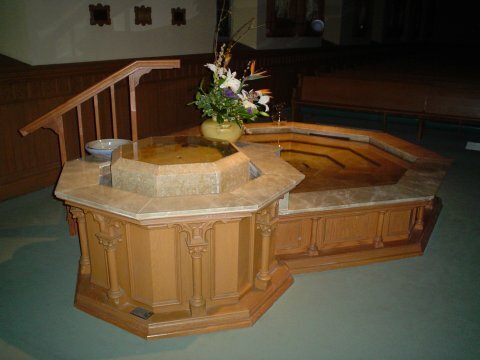 This is the Baptismal Font at Saint Raphael's Cathedral (Catholic), Dubuque, Iowa. The photo shows the font right after it had been expanded to include a small pool for immersion type baptisms. I took this photo in March of 2005.